The following are frequently asked and other important questions relating to DWI in Tennessee, along with answers. I’ve been arrested for a Tennessee DUI, now what? The following is a summary of the typical steps in the Tennessee criminal justice system from the time the defendant is arrested through his or her trial in criminal court. To be lawful, a police officer must have probable cause to believe that a crime is being, or has been, committed. If the arrest is for a misdemeanor offense, the crime must normally have been committed in the officer's presence. In some Tennessee counties, an Arraignment occurs before the first hearing date. This procedure is also called an Initial Appearance. The proceeding is performed to ensure that a bond has been set, that the defendant is aware of the charges which have been made, and that a court date is scheduled. A formal plea of "guilty" or "not guilty" cannot be requested at this stage. STEP 3 -- GENERAL SESSIONS COURT. This court has jurisdiction to address both civil and criminal cases. 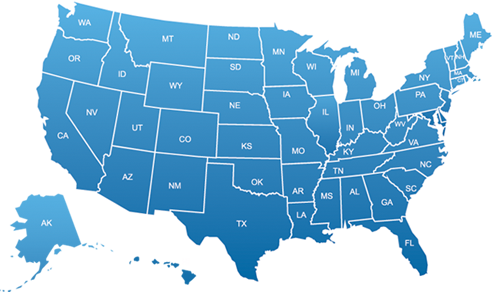 In some counties, there is a court which handles only DUI cases. Criminal cases are resolved in this Court by either a Preliminary Hearing, Trial without a Jury, or Plea Agreement. However, Sessions Courts do not have jurisdiction to conduct trials or accept plea agreements in felony cases. A Preliminary Hearing requires the State to demonstrate that there is Probable Cause to believe the defendant committed the offense for which he or she is charged. Probable Cause means "probably guilty" or "more likely than not." STEP 4 -- GRAND JURY. Comprised of 13 people who meet in secret to again determine if probable cause exists. They meet with the prosecutor’s witnesses only, not with the defendant or his or her lawyer. The formal charge against the defendant, the Indictment is signed by the Grand Jury and must allege each element of the crime. STEP 6 -- CRIMINAL COURT. The highest trial court in Tennessee. In Criminal Court, a defendant is presumed innocent and has the right to require the State prove guilt beyond a reasonable doubt before a jury of 12 people from the community. All defendants also have the right to confront their accuser, to compel the appearance of witnesses, and to remain silent if they choose not to testify. Defendants have the right to an attorney, and one will be appointed if the defendant cannot afford one. Prior to trial, defense counsel will have the opportunity to file motions - written documents requesting that the Court take certain action such as exclude evidence or require the State to disclose information. Should a person be convicted at trial, he or she has the right to appeal the conviction, the sentence, or both. If the defendant cannot afford to pay counsel for the appeal, one may be appointed to represent you. I was also charged with Implied Consent. What is this? In Tennessee, by law, any person who drives a motor vehicle in the state is found to have given consent to a chemical test to determine the drug or alcohol content of the person’s blood. However, the test must be administered at the direction of a law enforcement officer and the officer must have reasonable grounds to believe that the motorist was driving under the influence. Although a motorist has a right to refuse to submit to a chemical test, such refusal could result in license suspension (see Penalty Matrix). Please note that under certain circumstances, you could be forced to take a chemical test. If a test was taken against your will, you should consult with an experienced DUI defense attorney. What is the legal definition of Tennessee "Driving Under the Influence"? under the influence of any intoxicant (alcohol or drugs) or with a blood or breath alcohol concentration of .08% or greater. I had an open container in my car when I was stopped – is that illegal? YES. For drivers, it is a Class C Misdemeanor to have an open container of an alcoholic beverage while operating a motor vehicle. Tennessee state law does not prohibit a passenger from possessing an open container of an alcoholic beverage. However, be aware that cities may enact ordinances which also prohibit passengers from possessing open containers. Am I required to take a field sobriety test? NO. Tennessee law does not require you to perform field sobriety tests at the request of an officer. The officer, however, is under no obligation to inform you that such tests are voluntary. What is the accuracy rate of Field Sobriety Tests? As indicated by these results, the standardized field sobriety tests are not a highly reliable indicator of intoxication. Likewise, their results can often be successfully contested in court by a skilled attorney. How accurate are breath test results? Accuracy is questionable. There are many factors that can cause effect the results of a blood alcohol test, even causing false high or low readings. A skilled attorney can assist you in determining whether your reading is commensurate with what you had to drink, and advise you of any defenses you may have concerning a false reading. Is a blood test more accurate than a breath test? Yes. The scientific community is in agreement that a blood test is currently the most accurate (and reliable) method of determining your level of alcohol concentration. Could I have selected a blood test rather than a breath test? No. In Tennessee, the officer has the choice of which chemical test to administer (blood, breath or urine test). When can an officer compel a chemical test? The law in Tennessee is unclear when and if an individual can be forced to submit to a chemical test. If a chemical test was taken without your consent, you should contact an experienced DUI attorney to determine if such evidence can be used against you. Do I have a legal right to refuse a breath or blood test? Yes, in certain instances. Any person who drives a motor vehicle in Tennessee is deemed, by statute, to have given consent to a chemical test to determine drug or alcohol content of the motorist’s blood. State law also provides that a motorist can refuse to submit to a chemical test. However, as a result of refusal, the motorist could be subject to license suspension, and in some instances, criminal prosecution. Do I have a right to consult with an attorney prior to taking a chemical test? No. In Tennessee, a driver does not have a right to speak with an attorney before making the decision of whether or not to submit to a chemical test. Do I have the right to obtain my own blood alcohol test? Yes. In Tennessee, a person who is given a chemical test is entitled to obtain an additional sample of blood or urine. The sample may be obtained by any medical laboratory of the person’s choice and at his or her expense. However, an officer is not required to inform a person of their right to an independent test, nor is the officer obligated to assist a person in procuring the blood sample by transporting them to a hospital. I don’t recall the officer ever reading me my Miranda rights. Can this influence the outcome of my legal defense? Possibly. An officer’s obligation to read Miranda rights is triggered by an arrest or once one is placed in custody (not free to leave). If you have responded to an officer’s questions or have otherwise been interrogated when under arrest or in custody, absent Miranda warnings, your answers may be kept out of evidence in court (suppressed). You should contact an experienced Tennessee DUI attorney to thoroughly investigate your case and determine if the officer’s failure to read you Miranda rights may impact your case. Don’t I have a right to choose what chemical test I take? No. The officer has the right to offer the test of his or her choice (breath, blood or urine). I took a chemical test because the officer did not tell me I could refuse. How does this affect my case? It would have no impact on your case. In Tennessee, the officer is under no obligation to tell you the test is voluntary. Therefore, your consent would remain valid. Do I have a right to consult with an attorney before choosing whether or not to take a chemical test? No. In Tennessee you do not have a right to consult with an attorney before choosing whether or not to submit to a chemical test. Note also that if you delay in giving your consent, you could be deemed to have refused and be charged with an Implied Consent Violation. I consented to a chemical test, but was not read my Miranda rights. Was my consent valid? Yes. In Tennessee, the officer is not required to read you Miranda rights before you submit to a chemical test. Are Tennessee Sobriety DUI Checkpoints legal? Sobriety Checkpoints are legal under the Tennessee Constitution. However, the roadblock must have been established and operated in accordance with predetermined guidelines and supervisory authority. Because of the strict guidelines that must be followed in regard to the implementation of a Sobriety Checkpoint, it is important that you consult an experienced attorney to investigate and determine the legality of the roadblock. Can I be pulled over for attempting to avoid a roadblock? No, as long as your actions are lawful. For instance, if you commit a traffic violation in the process of attempting to avoid a roadblock, and officer would have independent grounds to legally stop you. I was stopped for "weaving." Is that against the law? Not necessarily. Interestingly, Tennessee law requires only that a vehicle shall be driven as nearly as practicable entirely within a single lane. Tennessee cases have held that stops for weaving are valid only where such weaving is pronounced or exaggerated. You should consult an experienced attorney who can apply the case law to the facts of your case to determine if your stop was valid. I was stopped for not using my turn signal to change lanes. Is that against the law? Not necessarily. Under Tennessee state law, the use of a turn signal is only necessary when another vehicle may be affected by the turn. Please note, however, that the local ordinances of some Tennessee cities may require the use of a turn signal regardless of the affect to traffic. If this is the case, your stop may have been valid. I was arrest for "DUI by Consent." What does that mean? In Tennessee, you can be arrested for "DUI by Consent" if you aid someone in the commission of DUI or if you assist or promote the commission of the offense or receive a benefit from the commission of the offense. If charged with "DUI by Consent" you would face the same penalties as if charged with the commission of the underlying offense. Note: If the driver is not convicted of DUI, you cannot be convicted of "DUI by Consent." I was only a passenger, not the owner of the vehicle, can I still be convicted of "DUI by Consent?" Yes. In Tennessee, ownership of the vehicle is irrelevant. Therefore, depending on the facts of your case, you could be found guilty of "DUI by Consent." Because you would face the same penalties as the driver, it is important that you consult an attorney who is experienced in DUI defense. I was the owner of the vehicle, but not present when the driver was arrested for DUI. Could I still be convicted? Yes, in Tennessee, the law makes no specific requirement that the owner be present in the vehicle to be criminally responsible for the driver’s conduct. Therefore, depending upon the facts of your case, you could be found guilty of "DUI by Consent." Because you would face the same penalties as the driver, it is important that you consult an attorney who is experienced in DUI defense. Could my DUI charge be reduced to DWI? No. Tennessee’s DWI law has been repealed. Can I be arrested for DUI without a warrant? In Tennessee, warrantless arrests are authorized for felony offenses or for misdemeanors which occur in the officer’s presence. A further exception applies to DUI cases—even if the DUI is not committed in the officer’s presence, a warrantless arrest is nonetheless permitted if at the scene of a traffic accident and the officer has probable cause to believe the suspect has violated the DUI law. The officer seized my car when I was arrested for DUI, what does that mean? Driving on a suspended, cancelled or revoked license, if your license was suspended, cancelled or revoked as a result of a DUI conviction. Your vehicle can also be seized at the scene of the arrest. The officer seized my car when I was arrested for DUI. How do I get it back? Before your vehicle is forfeited, you are entitled to a hearing before an officer designated by the Tennessee Department of Safety. However, you must comply with specific procedures to perfect your right to a hearing. Therefore, you should contact an attorney experience in Department of Safety Forfeiture procedures to ensure your best chance of getting your vehicle back. If you fail to take the necessary procedural steps, your vehicle will automatically be forfeited to the State. Note: Conviction for the underlying offense (ie. Second or subsequent DUI or Driving While Privileges Revoked) is not required for your vehicle to be forfeited. Even if the underlying offense is dismissed, you could still lose your vehicle. Doesn’t the seizure of my vehicle in addition to my prosecution for DUI violate Double Jeopardy? No. Neither prosecution for the underlying offense, nor the forfeiture proceedings are prohibited by the Double Jeopardy Clause. I was driving my parents’ vehicle, can it be forfeited even though I’m not the owner? Possibly. If the owner of the car is found to have been a co-conspirator to the underlying offense or if owner had actual knowledge of the intended illegal use of the vehicle, the vehicle may be forfeited. I’ve been charged with DUI and Reckless Driving. Is this a violation of Double Jeopardy? No. In Tennessee, DUI and Reckless Driving are two separate offenses. You can be convicted of both without violating Double Jeopardy. 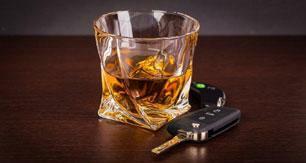 What is the statute of limitations for DUI? In Tennessee, prosecution for a misdemeanor offense must be commenced within one year after commission of the offense. A Class E Felony DUI must be commenced within two years. Can a DUI be a felony? Yes. In Tennessee, a 4th or subsequent offense is considered a Class E Felony. Can I drive while my DUI case is pending? Yes. As long as you possess a valid driver’s license, you may drive in Tennessee while your DUI case is pending. Your privilege to drive is only revoked after conviction. Similarly, you may drive if you have an Implied Consent charge pending. Your license is affected only after found a court hold that you have violated the Implied Consent law. You should contact an experienced attorney to thoroughly investigate your case and determine if the officer’s failure to read you Miranda rights may impact your case. Will a DUI conviction raise my insurance rates? Yes ... quite dramatically. Your automobile insurance rates can increase up to 500% for a period of up to five years. In addition, you might have to conduct a search for another insurance company, as your current carrier may drop your coverage as a result of a conviction. Will there be a permanent record of my DUI conviction? Yes. Anyone, including credit agencies and employers, who checks your criminal record will find a record of your DUI conviction. The conviction is permanent and will remain on your criminal record forever. What is an Ignition Interlock device? Will I be forced to have one installed on my car? An ignition interlock device connects your vehicle’s ignition system to a breath alcohol analyzer and prevents the vehicle from starting if the driver’s breath alcohol level registers beyond the amount calibrated on the machine (usually ranging between.02% and .05%). An ignition interlock device can be ordered at the discretion of the court and is mandatory if you have had a prior DUI conviction in the last 5 years. If ordered, you are responsible for the installation and maintenance of the device, including all associated costs. Unless an exception is granted by the court, you are prohibited from operating any motor vehicle that is not equipped with an ignition interlock device for the period of time the order is in effect. What are the penalties for driving on a revoked, suspended or cancelled license? A first offense of driving in a revoked, suspended or cancelled license is a Class B Misdemeanor and punishable by not more than 6 months confinement and/or a fine not to exceed $500.00. However, if the license was cancelled, suspended or revoked as the result of a DUI, vehicular homicide, or vehicular assault, the punishment increases to a minimum confinement of 2 days and a fine not to exceed $1,000.00. Upon a second or subsequent violation, the penalty increases to a Class A misdemeanor, which is punishable by up to 11 months, 29 days in jail and/or a fine not to exceed $2,500.00. Again, if the license was cancelled, suspended or revoked as the result of a DUI, vehicular homicide, or vehicular assault, the punishment increases to a minimum confinement of 45 days and a fine not to exceed $3,000.00. Additionally, upon receipt of notice of conviction, the Department of Safety will extend the period of your license revocation, suspension or cancellation. What is a "Habitual Motor Vehicle Offender (HMVO)?" What are the consequences of being declared HMVO? Once you are declared an HMVO, your driving privileges are automatically revoked and you cannot drive while the court order remains in effect. Therefore, you must file a petition with the court to have your privileges reinstated. Such petition cannot be filed for a minimum of three years. You should contact an experienced attorney for assistance in getting your driving privileges reinstated. If you found guilty of driving while your privileges are revoked under the HMVO Act, such violation is punishable as a Class E felony, which is punishable by 1 to 6 years imprisonment and a fine of up to $3,000.00. Can my DUI be erased from my record? In Tennessee, a DUI can only be erased or expunged if it has been dismissed. If you are convicted, the DUI charge will remain on your criminal record forever. Also note that if your DUI is reduced to a lesser charge, your criminal history will reflect that you were originally arrested for DUI, but that the charge was reduced. Additionally, several specific procedural steps must be taken to have a charge expunged from your record. If you qualify for expungement (ie. your DUI was dismissed), you should contact an experienced criminal defense attorney to assist you. My DUI was reduced to Reckless Driving. What effect will this have on my driver’s license? The law does not provide for automatic license suspension upon a Reckless Driving conviction. However, as a result of such conviction, the Tennessee Department of Safety will assess 6 points to your driving history. Please note that if you accumulate 12 points within a one year period, the Department of Safety can revoke your license. Further, if convicted of two Reckless Driving offenses within one year, your license would automatically be revoked. In this instance, you would not be eligible for a restricted license. My DUI was reduced to Misdemeanor Reckless Endangerment. What effect will this have on my driver’s license? The law does not provide for automatic license suspension upon a Reckless Driving conviction. However, as a result of such conviction, the Tennessee Department of Safety will assess 8 points to your driving history. Please note that if you accumulate 12 points within a one year period, the Department of Safety can revoke your license. What effect could a DUI conviction have on my Commercial Driver’s License? Upon conviction for a first offense DUI, your CDL would be suspended for one year. After a second conviction for DUI, you would lose your CDL for life. I have a Commercial Driver’s License, am I eligible for a restricted license? Possibly. In Tennessee, you can obtain a restricted license only if the underlying offense (ie. DUI or Implied Consent) was committed in a non-Commercial Motor Vehicle and conviction of such offense allows for a restricted Class D driver’s license. I had an accident and was arrest for DUI, but the officer never saw me driving or even in the vehicle. Was my arrest legal? In Tennessee, you can be arrested for DUI even is if the officer doesn’t see you driving or in physical control of the vehicle if you are at the scene of a traffic accident and the officer has probable cause to believe that you were guilty of DUI. My insurance agent keeps calling wanting a statement from me regarding the accident. What should I do? Although under your insurance policy, you are probably obligated to cooperate with your insurance agent or adjuster, you must be cautious in what information you provide. Any information or statements provided can be used against you in any pending criminal case. Therefore, you should contact your attorney for advice on how to proceed and what information you should not divulge. As a result of my accident, I’m also being sued by the owner the vehicle I hit. Could this civil case affect the outcome of my criminal case? Yes. Any statements made in connection with a civil lawsuit can be used against you in your criminal case. You should immediately consult both a criminal and civil attorney to ensure that your rights are protected in both the civil and criminal cases. What can I do to protect my 5th Amendment Right to Remain Silent? You should consult both a civil and criminal attorney immediately to ensure that your 5th Amendment right to remain silent is preserved. Under certain circumstances, your actions in relation to a civil case could affect the preservation of your 5th Amendment rights in a related criminal case.